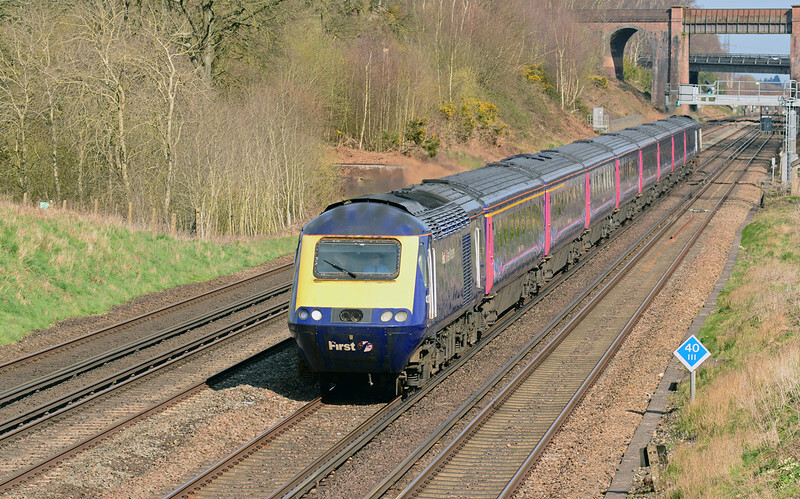 FGW Hsts on divert over Easter. Mid Hants diesel action & two from Silchester. FGW power car 43028 is seen on the SWML at Winchfield, with 1V76 the 15:07 service from London Waterloo-Penzance 06/04/2015. Diverted this way during the Easter closure of the GWML at Reading.